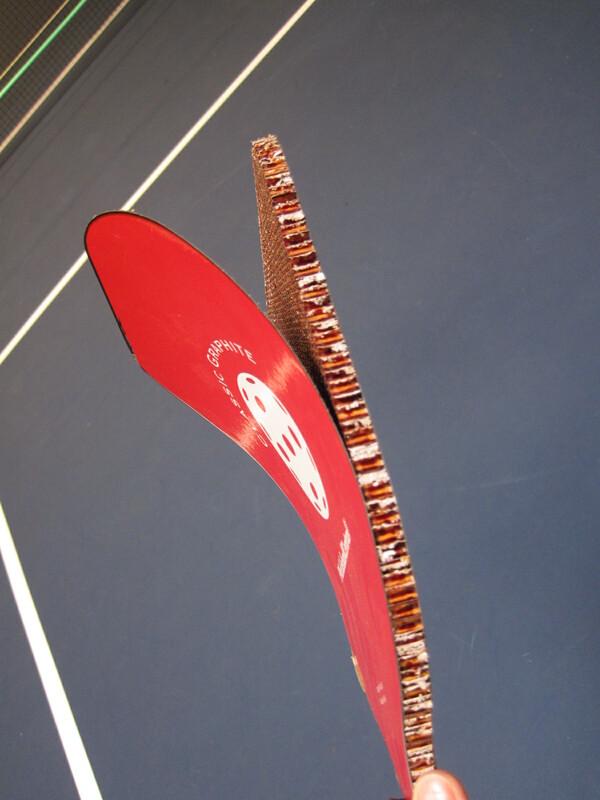 Can you recall the History of Pickleball Composite Paddles? Steve can! We are so glad to know Steve Paranto! He is a wealth of information about all things pickleball. In this installment, Anna interviews Steve about the history of composite paddles and Pro-Lite Sports. Enjoy! Anna: Okay, so, here we have Steve Paranto. And Steve has a long history of pickleball. Steve if you could tell us about when you started playing and what kind of paddle you used. Steve: My very first exposure to pickleball was my community college, which is a suburb of Seattle, where the sport, near where the sport was invented, Green River Community College. And all the tennis players, I was a tennis player, during our lunches, we would go in and play pickleball and the first two weeks of college our professors went on strike. So we felt like, well we’re not going to class, let’s play pickleball all day and we did that. And back then our paddles were wooden paddles with holes in them and they weighed about 13 ounces, so they were very heavy. Anna: And you said that your dad..
Steve: So my dad would follow us around to tournaments and my dad was a Boeing engineer and he was an athletic person, so he loved sports and would root us on. And the partner I had at the time, we did fairly well, but we kept losing in the semis and finals to the same people over and over. And I was frustrated and I came home one day and I said, “You know these paddles, these wooden paddles are too heavy.” I weighed a pickleball paddle and I weighed a pickleball and they were thirteen times heavier than the ball. 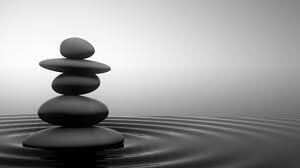 I weighed a tennis racket at the time and a tennis ball, and they were seven times heavier. And I said, “The ratio is off.” So a week later, Dad makes two prototypes out of Boeing floor paneling, he was an engineer at Boeing and we had the prototypes, we went to the next tournament and beat those guys, the same guys that we were losing to and that was the start of the company. Anna: I am curious about the facings on those. Were they graphite facing? Steve: They were fiberglass, they were fiberglass the very first (ones). They were honeycomb, just like everything you see now is basically a copy of some sort of that material. Anna: Do you know what year that was? Anna: And did it have an edge guard on it or how did that..? Steve: That was the only part of the paddle my dad did not manufacture, we had that molded by a company. My dad made every single portion of that paddle in our garage in Eatonville, Washington. Anna: And then, what about the grips and the build ups on those? Steve: Oh well, Dad did that out of a foam material, cut that out of foam. He did that all himself. Beveled it. Had a process to bevel it and then we would be gripping paddles. It was about a 22 step process to make a paddle. Anna: And you made them in your, your garage? Anna: Right! Did your dad play pickleball too? Anna: Right. Your dad started the company Pro-Lite. Steve: Well, it was the lightest paddle available and we thought we’d put “Pro” in front of it. The lightning bolt came from watching the movie “The Natural” by Robert Redford. We were watching the movie when we were starting the company and we liked how Robert Redford put the lightning bolt on his bat. So the next day we had a lightning bolt as our logo. Anna: Great. And then you guys sold the company to..? Steve: We sold it to Mark Kendall Lario who then a couple years later sold it to Mark Friedenberg and now Mark Friedenberg’s son, Neil has it. Anna: Very good. Well, thank you Steve, so much for sharing with us the history of the paddle. It is so good to hear this story. Pickleball started as a cottage industry and has grown by leaps and bounds in the last 20 years. If you have a good story about the history of pickleball, just shoot me an email, eliza@pickleballcentral.com. #1. Protects the Core. There are at least three layers to every composite paddle – a top face, a core and a bottom face. The edge guard seals these three layers and protects them from de-laminating. De-lamination is when the paddle face detaches from the core. De-laminated paddles are “dead”. Sometimes small pieces of the core break off and rattle around inside the paddle. 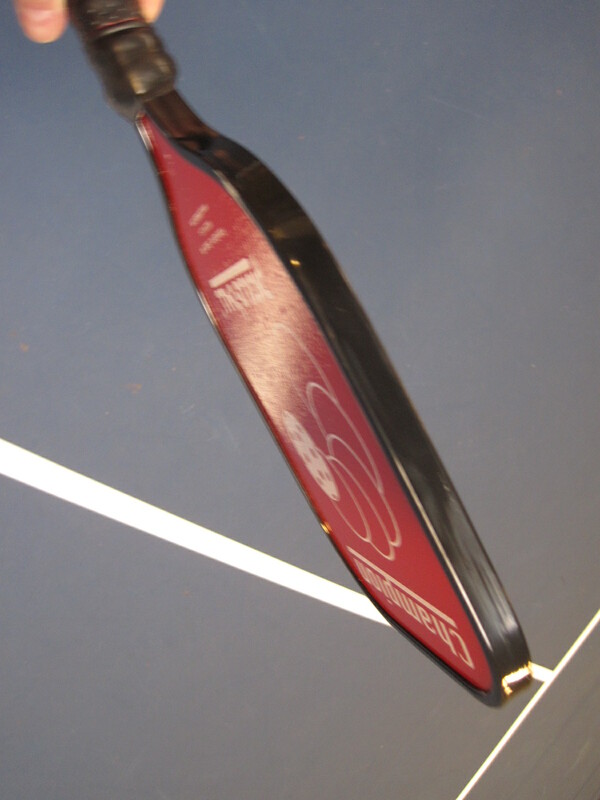 Delamination is when the paddle face detaches from the paddle’s core. #2 . Play with Reckless Abandon. The edge guard protects the paddle like the bumper on a car. You don’t need to be precious with paddle. You can dive for those shots and not be too concerned about denting or scratching your paddle’s edge guard. #3 Pop. Maybe it’s just me but I think an edge guard gives the paddle more pop. I like pop. What about you? What is your position on edge guards? Fiberglass vs. Graphite Paddles, what’s the difference?